Dimensions 0.50 by 7.75 by 9.50 in. The Ultimate Guide to Tarot Card Meanings | The Ultimate Guide to Tarot | Miniature Rider Waite Tarot Deck | Seventy-Eight Degrees of Wisdom | Radiant Rider-Waite in a Tin | The Complete Book of Tarot Reversals | Holistic Tarot | Tarot Spreads | The Easiest Way to Learn the Tarotever!! The Tarot is not a parlor game. In the hands of a master it is a research tool used to read the future and rewrite the events to be. 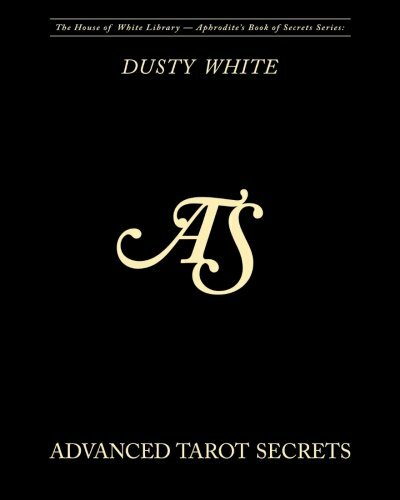 This book is the official textbook for the House of White mystery school and it will take your readings to a level of mastery that puts you head and shoulders above most Tarot readers you will ever meet. There is no guesswork involved with the Tarot, or this book. There are time-tested techniques that work, and it is time that you learn and use them. Advanced Tarot Secrets picks up from where The Easiest Way to Learn the TarotÃ¢ÂÂEver!! left off. You build on the knowledge you already have to deepen your bond with your cards and make them reveal layers of information from the same exact spreads you are using right now. We start you off by learning and doing new exercises, all designed to strengthen your intuition. These simulate the exact methods you use in Ã¢ÂÂreal lifeÃ¢ÂÂ readings, and make you infinitely more comfortable reading for other people. Next we introduce you to 6 new games that teach you how to see the various layers of meaning each card offers, and how cards interact in a spread. These games help you understand how the Tarot reflects the intricacies of daily life: In a simple ten-card spread you can see more details than three other people reading the same spread. Once you understand all of these things, you can dowse with the Tarot, work on archaeological expeditions, work for treasure hunters, work with stock analysts to predict economic trends, remote view (we donÃ¢ÂÂt call it Ã¢ÂÂspyingÃ¢ÂÂ), solve any problem, design your own spreads and decks, and charge a LOT more for your services. Advanced Tarot Secrets is not Ã¢ÂÂyet another book on the Tarot,Ã¢ÂÂ it is a Tarot revolution. This book frees you from the limitations of old worn-out techniques that create no real value in peopleÃ¢ÂÂs lives. About: Hereâs how to get 3 to 5 times more information from each spread you cast right now: Ask better questions, do all of your pre-spreadwork, and verify the accuracy of your spread before you start making any predictions.